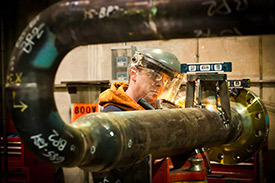 Compass builds powerful compression and process package solutions for natural gas applications. Our expertise lies in delivering small-to-large horsepower projects and process packages of the highest quality, coupled with the best client experience. Clients come to us with a wide range of compression and process needs, all varying in complexity and specifications. 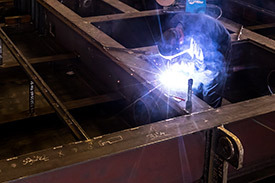 Our team offers industry-leading expertise and designs and fabricates reliable packages that meet the toughest standards and the most challenging applications. Compass is able to support the full lifecycle of your compression and process equipment – our Retrofit and Parts & Service Divisions ensure optimal performance now, and into the future. And our Rentals Division provides the fleet and flexibility to support almost any project. Clients trust us with their design and delivery specifications, knowing we will provide a package they can rely on. We offer a full range of reciprocating, rotary screw and rotary vane compressor packages (5 HP – 8,000 HP), and have significant resources in-house to engineer customized solutions. To ensure our products are the most reliable in the industry, we are licensed by industry leading manufacturers including Ariel, CAT, Frick, RoFlo and GE Waukesha. 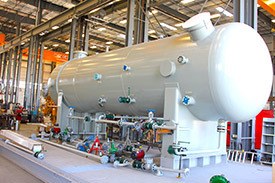 We offer packaged process equipment, ranging from small skid mounted units to inter-connected multiple module units for larger gas processing plants and petrochemical systems. With single-source purchasing, equipment modules are aligned at the application engineering stage and coordinated through design, engineering and fabrication. This process allows us to streamline operations and create technically sound systems. Our process and compression packages receive full life cycle support from our Parts and Service Division, including commissioning, maintenance, and troubleshooting. 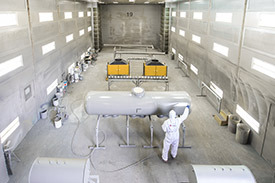 Our Retrofit Division provides debottlenecking and reapplication modifications. We have strategically-located service branches, overhaul shops and parts warehouses, all of which are designed to help decrease our customers’ equipment downtime and operating costs. A well-performing compressor yields real returns. Compass’ dedicated Retrofit team has extensive experience in current, and non-current, gas compression equipment, and can deliver solutions to help increase operating efficiency, horsepower utilization and operational flexibility. We work on all types of reciprocating and rotary compressor packages – either at your field location or in our facility. We have a comprehensive surplus equipment database. Canadian, US and international users have the ability to search, purchase, and sell compression and process packages and components. Our easy-to-use database allows for searching through thousands of compressor packages and components currently available for purchase. Our retrofit team offers expert knowledge to advance compressor performance and also provides a service solution. We ensure quality and reliability with our in-house operational approach, eliminating middle agents and resulting in prime pricing and turnaround time. We know that mechanical problems can happen. And when they do, waiting until morning is not an option. That’s why OEM-trained and experienced field technicians, and parts, are available around the clock in a variety of strategic locations. To ensure a quick response time, we have service branches, overhaul shops, parts warehouses and field service technicians located throughout North America. Technicians provide on-site mechanical, electrical and instrumentation services to maintain, repair, optimize or overhaul equipment. We also offer long-term maintenance contracts and component exchange programs to minimize downtime and maximize the potential of your equipment. Compass maintains an inventory of tested, rebuilt equipment with standard component warranties. 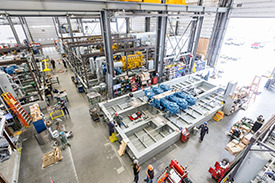 Our engine, compressor and component exchange program assists with reducing downtime and lost production by supplying rebuilt equipment immediately. Our rebuilt equipment includes: engines, compressors, heads, water pumps, starters, packing cases, conrods and more. Rebuild Centers: We operate full service shops with lifting capabilities and dedicated resources to refurbish engines and compressors to OEM specifications. All rebuilt equipment comes load tested with a one-year warranty. On-Site Overhaul: If your circumstances dictate, we also perform engine and compressor overhauls in the field. 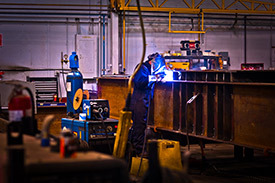 Our comprehensive inventory ensures critical parts required for maintenance or repair are supplied immediately. We carry parts from the following OEM’s, as well as several other miscellaneous parts, including valves, ignition components, filters, etc. If we don’t have the part you require, we can source it for you. Contact Compass anytime. We have service branches, overhaul shops, parts warehouses and field service technicians located throughout western Canada and the northwest United States to offer you the quickest response time possible. We use the top-tier OEM brands you trust to ensure our equipment is reliable and delivers high performance today, and for years to come. We proudly partner with the following brands to deliver on our promise of quality compression and process solutions. 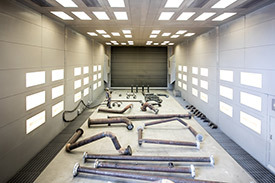 When we custom designed our fabrication facility, we had efficiency in mind. 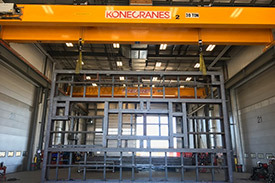 Balancing the right square footage with the needs of specific tasks and functions, our facility offers both technical and economic benefits for all of our projects.